Helpdesk software is a one-stop point of contact where customers or internal staff can send their questions or problems. The software allows businesses to resolve customer queries and concerns by managing tickets from receipt all the way to resolution. It also provides agents with a wide array of support and tools that promote collaboration to respond to queries properly and immediately. This type of software also empowers agents with a wide range of support and collaborative tools. Studies show that as much as 42% of customers expect a reply in an hour, so now more than ever, help desk software is important to your business. The goal of using it is to keep customers satisfied so they don’t leave. Help desk solutions are often lumped under the broader IT service management category, but the strict definition of help desk software refers to the specific process of addressing customer issues, whereas IT service management includes support for an internal audience (your employees). Some CRM solutions can include a help desk function and vice-versa, some help desk solutions may have CRM functionalities. How does help desk software work exactly and how can it benefit your company? 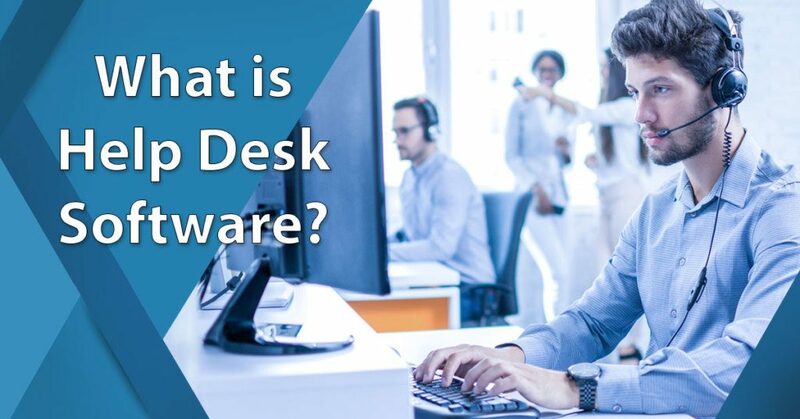 In this article, we’ll answer the question of what is help desk software and we’ll explain all the software’s main functions including ticket management, automation, and analytics. We’ll also show you the many benefits of this software. Particularly, how it can be a good source of market feedback and sales opportunities. What are examples of help desk software? Freshdesk – An intuitive and feature-rich platform for small businesses to large enterprises. It has self-service, multi-channel and ticketing capabilities to streamline your customer support. Its plans are affordable and highly scalable. In fact, its starting plan is available for free. You can sign up for Freshdesk free trial here to get started immediately. Salesforce Essentials – Salesforce’s product built for small businesses to help them start leveraging their sales and service processes. It’s loaded with the core features you need to provide personalized customer experience. By excluding bloated features, you get a scalable software without complexities so you can focus on your most important tasks. Salesforce Service Cloud – Specifically developed for customer support, this software can help you deliver smarter and more personal customer experience. Your agents get a unified view of your customers so you can offer the service they need. Zoho Desk – A context-aware customer support system that uses Artificial Intelligence. This customizable software promotes integration with other apps and collaboration across your organization’s departments and teams. It supports multiple channels and gathers tickets together for a consistent response. Wix Answers – A help desk software built by Wix. It provides a knowledge base, multi-channel ticketing system, and built-in call center. Its widget is embeddable anywhere on your website so customers can easily find it. Vision Helpdesk – A help desk tool for responding to incident or service requests. With multi-channel ticket management, it centralizes your customer conversations from various support channels in a single location. Freshservice – An IT service desk that’s customizable for IT and non-IT use. Its mobile app is highly intuitive for employees to stay connected on the go. It also offers multi-channel support and gamification. Resolve tickets with more accuracy. Agents can route technical questions to the IT professional or an in-house expert for an accurate response. Address Service Level Agreements. Managers can assign rules to route different SLAs to their respective workflows; thereby, each SLA type, from basic to premium, gets the appropriate customer service. No tickets are missed. Agents can set alerts to notify them about the day’s tickets. Managers can also set rules to auto-convert customer emails to tickets and channel them through ticket management. Build a knowledge base. Repetitive customer questions can be organized into FAQs. Using page templates, you can build a knowledge base section and add it to your site. Focus on important tasks. Managers can automate repetitive and routine tasks such as FAQs and administrative compliance so agents can handle more critical tickets. Resolve tickets faster. It’s one of the main advantages of help desk software. Agents resolve tickets faster and more accurately through collaboration with other agents, routing to in-house experts, or quickly accessing product specs. They can also categorize tickets by priority or escalate them to higher-ups, so the most urgent issues are resolved. Resolve tickets consistently. FAQs and unique issues are recorded and best practices are logged as a reference for future incidents. Next time a similar query is received, an agent will know exactly how to respond. What are the types of help desk software? These are often plug-and-play SaaS solutions that offer a base ticketing system for customer complaints. Other help desk features can be added but at an extra cost. Features like chat, knowledge base, reporting, additional points-of-contact, and mobile may be offered separately. This help desk software type is scalable and, therefore, ideal for small and growing businesses. A major advantage of the basic help desk is its affordability. An enterprise help desk offers more features than a basic one and it also addresses internal issues like IT assets. Aside from having a larger database, multiple contact points and accommodating more users and customers, this help desk type may include IT asset management, SLA management, and account management. It can also be customized deeper to match the company’s protocols. This help desk type is free and allows users to modify its source code to customize or integrate processes. It requires developer skills to tinker with the source code and adapt it to one’s required workflow or output. Vendors of open-source help desk may offer a fee-based technical service or a paid version with more robust features. Freshdesk’s dashboard shows a comprehensive view of your tickets. What does a help desk software do? Points of contact. This feature refers to how customers contact your support. Examples of support channels include phone, email, chat, social media, self-service, or community. Some solutions offer multiple channels while others offer them separately as add-ons. Ticketing management. It’s the core system that records and organizes customer complaints into tickets and tracks their progress up from receipt to resolution. A good help desk software shows the ticket status and who’s handling it to avoid duplicating the ticket response. Ticketing should also be able to convert emails to tickets relatively quickly (with a few clicks). A knowledge base or self-service. It’s one of the most important features of help desk software. It compiles customer questions and structures them into retrievable FAQs or how-to articles. Repetitive queries can be directed to this section, freeing up your agents to focus on more urgent issues and at the same time allowing you to provide 24/7 help desk since the knowledge base is always up. Escalation. Some advanced help desk ticketing offers escalation features where agents can route difficult tickets to the higher-ups. A good escalation allows for multi-level submission where supervisors get to resolve issues within their authority instead of escalating the ticket further up. This makes resolution faster and prevents bugging busy managers. Automation. The software automates repetitive, predictable, or routine tasks including recurring customer questions and administrative tasks like filling up forms or issuing daily reports. Automation can span the entire range of support service from converting emails to tickets to routing them to the right agents. It also takes care of notifying managers of pending or resolved tickets. Dashboards. A good dashboard helps agents see the most important data upon logging in. This may include pending, urgent and new tickets, and incoming calls. Dashboards should also show supervisors and managers key metrics like overall agent performance, resolution rate, and the number of issues resolved per week or month. Analytics. The help desk can also be a source of market insight and sales opportunities. You can organize customer queries in visual ways that reveal valuable information like top product complaints, customer buying preferences, and market demographics. Customer satisfaction survey (CSAT). This is closely related to analytics but with a specific objective, that is, to show the relationship of customer satisfaction rate with sales trends. For example, you can use the feature to determine if the volume of complaints is inversely proportional to your sales trajectory. What are the factors to consider when getting help desk software? Ticketing system capability. Ticketing management is the main feature, so you want to ensure it can perform various tasks like assigning, reassigning, escalating, resending, routing, closing, and canceling tickets. The more functions a software has, the more control you have over different incidents. Check for tagging and filtering options as they help speed up searching for and grouping tickets for bulk actions. Collaboration tools. An excellent help desk software lets users collaborate on three levels. First, among agents, so they can work on a difficult ticket. Second, between departments, so agents can tap the company’s other resources. And third, between agents and customers in times when a situation requires input from actual users to further improve the product. Knowledge access. This pertains to both internal and external users. Agents should be able to quickly retrieve product information to assist customers. Likewise, customers with repetitive questions should be directed to a knowledge base of FAQs so agents are free to focus on unique tickets. Customization. Your help desk software should at least adapt to your basic workflows so you can fully use the system. Likewise, go for solutions that allow for branding the interface and templates. You don’t want customers to feel unimportant with generic responses. Database capacity. If you have a huge customer base, make sure to check if the help desk software can handle it. It should also accommodate historical interactions for future reference. Likewise, find out how much content it can host for the knowledge base, especially if your server capacity is limited. Email compatibility. Since you’re most likely using email as a core component of your support service, make sure the help desk software is compatible with your email client. Take note that not all solutions work with all email servers. Scalability – Can you add more features, additional agents, and support more tickets as your business grows? Ease of use – Can it be used by anyone – with or without technical skills? Budget – Does its initial cost or monthly subscription cost fit your budget? Integration – Can it integrate with your other business apps? Mobile support – Does it have a mobile version so you can manage support even on the go? Security – Does the software use data encryption to protect company and customer information? Salesforce Service Cloud shows a 360-degree view of customers. How much does a help desk software cost? Help desk solutions are usually priced based on the number of agents and ticket volume grouped in batches of tens or hundreds. Furthermore, the cost of a help desk software can be affected by the number of extra modules such as knowledge base management, analytics, reporting, and content management. Other factors that may affect pricing include integration capabilities, mobile apps, and license fees for on-premise deployment. Freshdesk – It has a free plan for unlimited agents with basic help desk features that are ideal if you’re just starting out. It offers four priced plans starting from $19/agent/month for small teams and all the way to $89/agent/month or enterprises. Salesforce Essential – This product is offered at only $25/user/month for up to 10 users. It’s an out-of-the-box solution with features for small teams to start with for their customer service processes. Salesforce Service Cloud – Suitable for growing businesses, it has three scalable plans you can choose from. The starting plan is called Lightning Professional for $75/user/month while the highest plan, Lightning Unlimited, is at $300/user/month. Zoho Desk – It offers a free plan for up to 3 agents. Meanwhile, it has two premium plans: $12/agent/month for small and growing teams and $25/agent/month for enterprises. Wix Answers – Its premium plans are priced based on which products you want to use (knowledge base, call center, and ticketing system), the subscription length (monthly or yearly), and your team size. Hence, you need to contact the vendor to request a quote. What are the potential issues in help desk software? These are some of the potential issues you may encounter when using the software. As long as you’re prepared, you can easily bypass these challenges. Only customer service is using it. Robust help desk solutions require the cooperation of other departments like sales, marketing, and IT to fully maximize the system’s potential for quick resolution turnaround and market insights. The problem arises when other departments view help desk as primarily for customer support team only. This can be solved by proper implementation across all departments. Bugs delay resolution. Technical glitches can happen and delay your ability to respond quickly.  In such cases, you should be able to have quick help access to the vendor. Security threats with sensitive data. Hacking of customer data isn’t something rare and help desk solutions are a prime target for phishing, spyware, malware, and other viruses since they are the opening to your company’s internal communication system. Most vendors have layers of the firewall for data protection and backup system for unforeseen events. Make sure you ask about the level of security offered by the vendor. What are the latest help desk software trends? Multi-channel support in sync. Aside from social media, customers use different channels to push their conversations with companies. They may post a general query on Facebook, follow it up through email, then finally call you. Help desk solutions are developing multi-channel communication platforms that can simultaneously track email, apps, live chat, calls, and other customer touchpoints coming from a single customer. Chatbots. Conversational chatbots are now being launched regularly as AI-assisted live chats prove to be cost-effective. FAQs and basic requests like password change can now be addressed by a chatbot. As AI advances, chatbots will be able to deliver more human-like responses and even replace live agents at some tasks. Mobile compatibility. More and more customers are accessing the internet through mobile devices. Customers expect to be able to reach your company through their mobile phone or they’ll be frustrated. Social media support. Social networks like Facebook and Twitter are becoming the first-touch points for many customers. Hence, help desk solutions are integrating these channels to let agents participate in conversations and direct comments to the knowledge base where necessary. Determining if your organization needs it. Choosing the right software to deploy. Now you’ll be on the quest to answer: which one, among the numerous choices available, is the right software? There is no “best help desk software” because each product offers a different feature set for different business needs. The challenge now is looking for the software that can help you deliver effective and consistent customer service and fits the type and quality of customer support and service you want to offer. To start on the right foot, you can check out this list of 20 Best Help Desk Software Solutions of 2019 prepared by our team of experts. After comprehensive tests and evaluations, these products are selected for offering a robust feature set and excellent overall functionality. Once you’ve made your choices, you can refine your list by signing up for free trials so you can explore the software firsthand and assess if it matches your needs. To help you get started, you can sign up for Freshdesk free trial here to test its features at no cost. It can be a tedious process, but it’s crucial to ensure you deploy an effective solution for your workflows and you get the best value for your investment. Types of Help Desk Software: Which One Will Suit Your Company Needs?